Pay for what you need and want..
For a fraction of the cost of other organizations, KAPE offers DOUBLE the liability coverage! For $195/year you receive $2 million in liability coverage and other benefits. PLUS, if need for legal representation arises in an employment dispute or threat to your licensure through referral to EPSB, you will have GUARANTEED legal representation until the incident is resolved. With KAPE, you can love your school and your wallet! Normally, KAPE just reports on legislation without taking a viewpoint. However, we believe this bill to be of such paramount importance that KAPE must ask our members to support EQUAL representation as proposed in HB 525. Representative Upchurch has asked for constructive comments. He can be reached at Ken.Upchurch@lrc.ky.gov or call the Legislative Message Line at 502-564-8100! (FRANKFORT, KY) – In a news conference on Thursday, Jan. 24, the Kentucky Department of Education (KDE) announced the launch of the Kentucky Academy for Equity in Teaching (KAET), a renewable loan forgiveness program designed to identify and prepare effective, experienced and diverse public educators in the Commonwealth. 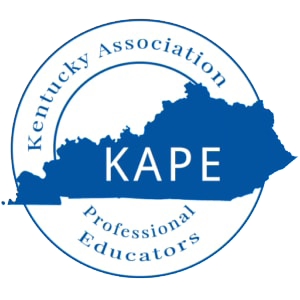 Through the program, KAET participants will receive financial support and complete an Education Professional Standards Board (EPSB)-approved teacher education program in conjunction with ongoing mentorship by experienced Kentucky educators. KAET emphasizes the development of knowledge, skills and competencies identified in the Kentucky Teacher Performance Standards and the Kentucky Framework for Teaching. It is a renewable loan forgiveness program designed to provide financial support and mentoring to pre-service teachers who are enrolled in teacher preparation and/or certification programs at public state universities. Undergraduate students enrolled in educator preparation programs can receive up to $5,000 per semester for up to four semesters over the course of three academic years and receive no more than $20,000 total. They must be enrolled in an educator preparation program or have an application on file with a public Kentucky university. Students in an initial certification master’s educator preparation programs are eligible to receive up to $2,500 per semester for up to four semesters over the course of three academic years and receive no more than $10,000 total. They must be admitted to a MAT educator preparation program or have an application on file with a public Kentucky university. The MAT option is limited to students participating in initial certification, option six, educator preparation programs. Support for other alternative certification programs are under development and will be available soon. 1. Applicants must be a United States citizens and Kentucky residents as defined by 13 KAR 2:045.
f. Be a United States military veteran. Our mission at KAPE is not to disrespect others, yell, attack, and blow smoke to hide the truth. 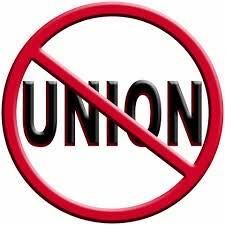 We are not a union, and we do not function like a union. Our mission is to inform our members about what is really going on in events around them, and then to defend our members' right to protest, argue, ignore, or stand their ground. KAPE does not organize protests against the government and then violate state law and district policies by using school resources to stage a protest. We urge members to follow all regulations and policies when participating in legitimate rallies and protests. KAPE was present in Frankfort during the pension crisis meetings at the Pension Board, in legislative meetings, and on the Capitol grounds when protests were being launched. We did not abandon our members, nor did we remain silent. We informed our members of the TRUTH! We don't tell our members what to believe, think, or what to protest. We do not mislead them nor hide years of mismanagement at the Teacher Retirement System Board of Trustees. KAPE supports saving all parts of the Kentucky Retirement Systems in a legal, financially sound manner. But we stand alone in our quest for TRUTH, and we will provide that to our members. The recent US Supreme Court decision in Janus means that public employees are no longer forced to join a union or to pay agency fees as a condition of their job. Employees must now "opt in" instead of the traditional "opt out" that has been required for years by some districts in the local collective bargaining contracts. If you have been forced to pay any agency fees to the union, KAPE is collaborating with independents in other states to attempt to recoup that money back to educators. Contact us with questions! We are a professional organization for certified and classified staff in all Kentucky schools (public and private). KAPE offers double the liability insurance, legal representation, and representation in Frankfort for less than half the cost of other organizations. KAPE is NOT a UNION. KAPE Members: Click here to download our application to share the TRUTH!